GridSolv consists of one ISO 40 container and includes batteries, a safety system, fire suppression system, power distribution and air conditioning system. What’s your assessment of the energy storage market? We’re very excited about what we’re seeing in the marketplace, and the drive towards a carbon-free economy. Renewable energy is no longer an incremental component in energy production. Solar, wind and hydro are becoming the world’s main energy sources. Due to all the recent international attention on the IPCC report on climate change, there is a huge opportunity for the energy storage industry. The forecast is looking very good because energy storage enables the integration of renewable resources into the power grid, and helps increase reliability associated with intermittent resources. More frequently, utilities and IPPs are looking to energy storage as an essential grid asset to help manage and strengthen the reliability and flexibility of the grid, which will integrate more renewable power onto the system. Tell me about some of Greensmith’s highlights from this year? There have been a number of exciting developments at Greensmith Energy this year. First, we’re now fully integrated into the Wärtsilä family. In 2016 we delivered about one-third of all U.S. energy storage deployments. 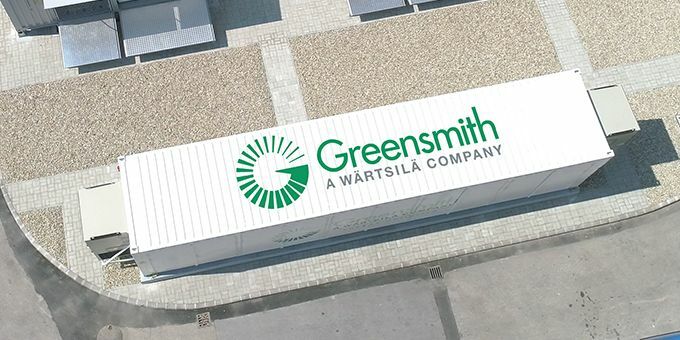 So, one year later, to be fully integrated into a 184-year-old company that has 67GW of engine power plant installed base – and all of which you can retrofit with energy storage and is active in about 177 countries – has put our company on another level. Another highlight is our move into the second-life EV battery solutions. We established a partnership with Hyundai Motor Company to develop advanced energy storage systems that target both utility-scale and commercial applications suitable for second-life EV batteries. In terms of technology deliveries, we've completed over 70 systems in nine countries – including recently in Hungary and Portugal. The energy storage market is still just getting started but we expect the geographic growth to accelerate now that we can leverage our presence in 177 countries with 67 GW of engine power plants. Please give us the details of the GridSolv system? GridSolv is our standardized solution that provides flexible and modular storage for the core hardware assets within our energy storage systems. We developed it to adapt to DC-coupled solar-and-storage systems, and of course microgrids and multi-megawatt-sized, medium-voltage interconnected utility scale systems. As far as the details of the solution itself, GridSolv consists of one ISO 40’ container and includes batteries, a safety system, fire suppression system, power distribution and air conditioning system. The combination of GridSolv and our software platform, GEMS, is already being deployed in Budapest with our utility partner, ALTEO. 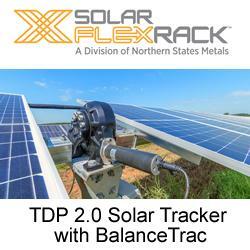 How does GridSolv address the challenges facing utilities and IPPs? When we began thinking about this containerized approach, it was helpful to think of parallels to the transportation industry – which is designed around the ISO container platform. We want to do the same thing for energy storage: standardize the software and technology functions for energy storage. So, for example, GridSolv's physical footprint and compliance to ISO standards allows for economical standard and fast shipping across the globe. This is a major factor when energy producers are looking to invest in storage that is adaptable and future-proof. Because GridSolv is fully integrated with all the necessary sub-systems – and full tested and commissioned prior to shipping, it makes site installation very fast, efficient and saves installation costs. What differentiates Greensmith’s platform over others? From our perspective, what differentiates our offering is GEMS. When you layer software controls on top of storage, the possibilities are nearly endless. With software, utilities and IPPs can leverage machine-learning and sophisticated analytics to manage its power grid in unprecedented ways. And, use energy storage for multiple applications – capacity, market participation or energy smoothing/shifting. GEMS ensures system optimization of both energy storage and generation assets through changes in market conditions and rate structures – effectively "future-proofing" energy storage investments for both power developers and regulated utilities. This is a critical feature because, as you know, the energy landscape, emerging technologies and other variables are constantly changing and evolving. But with a software-based intelligence system, we can help stabilize and strengthen all the components on the energy storage value chain and adapt to unforeseen modifications. What are some of the major benefits of energy storage? Energy storage is becoming increasingly important to help strengthen the reliability and flexibility of the grid and integrate more renewable power onto the system. Energy storage is uniquely positioned at the heart of all of this change. Unlike any other asset on the grid, energy storage can play multiple roles, acting as both load and capacity depending on whether it is absorbing excess generation or feeding back into the grid. Add to that its ability to react near-instantly, and energy storage can help utilities and customers smooth the integration of new assets, enabling the grid to emerge more stable and responsive. Energy storage’s flexibility and improving economics have driven demand for this new asset class. Can you outline the economic costs/payback of adding Gridsolv to a power plant? I like to think of the financial benefits of energy storage in this way. If a utility or a customer segment like a mining company (we are the storage provider for the world’s largest gold mine in the world, located in Burkina Faso), had to shut down due to a natural disaster or an outage, those costs can add up to millions and millions of dollars per day. When you bring energy storage into the fold, you’re more likely to avoid shutdowns because you’ve got clean energy as baseload. The energy storage market is still just getting started, but opportunities are expanding as costs are falling for energy storage. We have a positive view on costs, because as a technology company we offer a very different solution than other companies. We are not a battery manufacturer – so we can select the right batteries for each project and customer. And our platform allows us to be flexible as battery technology evolves. That also means we have the ability to get the best pricing on batteries manufactured all over the world, whether it’s the Europe, Korea, China or Japan. In fact, where I see the biggest disruptor on the horizon – and what gets me really excited about the future of energy storage – is computing. Very soon, math, data, algorithms, and IT will be embedded in practically everything we do. And not just in energy storage. We partner with utilities to transform our very arcane grid system to be more sophisticated and efficient. And, this brings me to another important trend we’re seeing on the horizon, which is that renewables are no longer an incremental component in energy production. Solar, wind and hydro are becoming the world’s main energy sources. Our company vision of enabling our customers and partners towards a 100% renewables future fits in perfectly with this progress – which is something that we’re really excited about. As President and CEO, John has led the company from concept to market leadership in grid-scale energy storage technology since joining in 2009. 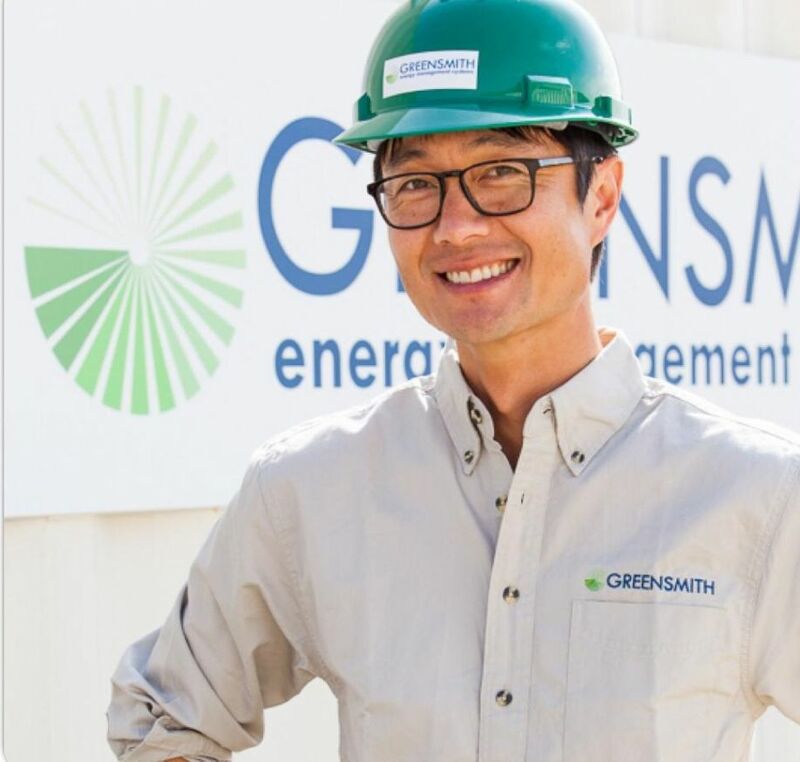 He set the commercial and strategic vision for Greensmith early on: to provide the energy storage technology platform of choice to customers and partners leveraging a battery-agnostic, software-optimized and distributed network approach. Prior to Greensmith, John spent over 20 years building high-growth, B2B technology companies and was a strategy consultant to a number of vertical sectors including the electric utility industry. John held C-level roles at four venture capital-backed technology companies operating globally, including a consortia-based electronic marketplace that served 21 of the 25 largest electric utilities in North America. John also served as a senior strategy consultant for A.T. Kearney and Braxton Associates in the areas of corporate/business unit strategy, enterprise transformation and portfolio/growth strategy. John holds an MBA from the Richard Ivey School of Business and an undergraduate degree in Economics and Sciences from the University of Western Ontario.